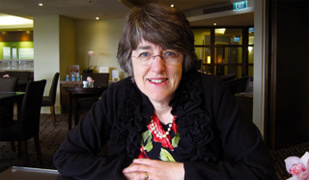 Baroness Ilora Finlay is a doctor, professor of palliative medicine at Cardiff University and an independent crossbench member of the House of Lords. She explains to Michael Fitzsimons how her opposition to euthanasia is not on religious grounds, but entirely a matter of public safety. A coalition, assembled to oppose the legalisation of euthanasia and assisted-suicide in New Zealand, has been formally launched today at a function at Parliament. Over the last few years, there have been several events that have generated an active public discussion on euthanasia and assisted suicide in New Zealand. In 2012, then Labour List MP Maryan Street prepared a Private Members Bill, the "End of Life Choice Bill". It was subsequently withdrawn from the ballot box prior to the 2014 election campaign as the Labour Leadership did not want it debated during an election year. Then, in 2015, Wellington lawyer Lecretia Seales, who was suffering from terminal brain cancer, sought a ruling from the High Court that "assisted dying" was not unlawful under the Crimes Act, and that a ban on "assisted dying" contravened her human rights under the New Zealand Bill of Rights Act 1990. The Court ruled that any assistance, whether in the form of assisted suicide or euthanasia by her doctor, would be unlawful and that the relevant provisions of the Crimes Act 1961 were consistent with the rights and freedoms contained in the Bill of Rights Act. It further suggested that changes to the law sought by Ms Seales could only be made by Parliament. Justice Collins referred specifically to the complexity and broad nature of the issues that are implicated in changing the law, stating that: "The complex legal, philosophical, moral and clinical issues raised by Ms Seales' proceedings can only be addressed by Parliament passing legislation to amend the effect of the Crimes Act.". Following this ruling, a petition organised by the Voluntary Euthanasia Society (VES) was presented to Parliament in June 2015 by former MP and VES President Maryan Street and Matt Vickers, the husband of Lecretia Seales. It asked that the House of Representatives investigate public attitudes towards the introduction of legislation permitting "medically-assisted dying". The Select Committee investigated 1) factors that contribute to the desire to end one's life, 2) the effectiveness of services and support available to those who desire to end their own lives, 3) the attitudes of New Zealanders towards the ending of one's life and the current legal situation, and 4) international experiences. ACT Party Leader and MP David Seymour submitted his own "End of Life Choice Bill" in October 2015. The key difference from Street's Bill was that it did not include End of Life care directives. While this Select Committee inquiry was still in process, Seymour's Bill was drawn from the private members ballot box on 8 June 2017. The Bill seeks to legalise euthanasia and assisted suicide in New Zealand for people 18 years and over with either a terminal illness or "grievous and irremediable medical condition" (effectively people with disabilities, chronic, and mental health conditions). Meanwhile, the Health Select Committee released their report on the VES petition in August 2017. The submission process received over 21,000 unique submissions from around the country between 27 August 2015 and 1 February 2016, and heard 944 oral submissions (read the submissions here). 80% of the submissions were opposed to the legalisation of euthanasia and assisted suicide in New Zealand. The Report echoed Justice Collins' observation that the issue "is clearly very complicated, very divisive, and extremely contentious", but made no clear recommendations about legislation on euthanasia or assisted suicide in New Zealand, stating that it was a usually a matter of a conscience vote. Instead, the Report encouraged "everyone with an interest in the subject to read the report in full, and to draw their own conclusions based on the evidence presented in it". Seymour's Bill had its first reading just before Christmas on the 13 Decmeber 2017. You can read the transcript or watch the videos from the first debate here. It is currently before the Justice Select Committee, who received over 35,000 submissions from New Zealanders. The Committee are now hearing from everyone who indicated that they wanted to be heard in person by the Committee. Information about hearing times and locations can be found here. Videos from some of the hearing sessions so far can be found here. Submissions for the Bill can be found here (not all submissions have been posted yet). It is important to understand that personal choices that people make are always contextually bound. The current New Zealand context, characterised as it is by 'functionalism', increasing ageism that is manifesting itself in growing elder abuse and an increase in the social isolation of the elderly, and a deficit understanding and fear of disability means, in our view, that there has never been a more dangerous time to make suicide and/or euthanasia more easily available. 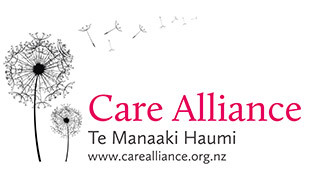 The answer to the existential suffering that many people experience, and which drives requests for euthanasia and assisted suicide in overseas jurisdictions, is not to make it easier for people to end their lives but to continue to improve access to palliative care for all New Zealanders. It is our informed view that when all of the risks are objectively assessed and weighed up, any perceived benefits for a small minority of persons would be far outweighed by far larger numbers being exposed to the very real dangers of a premature death. The current legal status quo remains the most responsible option for New Zealand at this time. The most accurate predictors of a persistent request for euthanasia are not related to physical pain but to depression accompanied by feelings of hopelessness and/or a sense of social isolation. One in 20 medical diagnoses are wrong. One in every 45 deaths in the Netherlands comes about through euthanasia. In New Zealand this would translate to 700 deaths per year. Psychiatrists should prevent suicide, not prescribe it - Charles Collins, Crux (2018). Belgian ethicist says euthanasia has become 'sacralized' - Charles Collins, Crux (2018). A CMA doctor on the burdens and ethics of assisted death - Shannon Proudfoot, Maclean's (2016). Euthanasia and the common good - Charlotte Paul, Corpus (2018). Euthanasia is almost a declaration of no confidence in medicine - Wesley J Smith, Sputnik (2018). An age-old problem: society fails to truly embrace its seniors - Rhonda Nay, The Conversation (2013). Insight: Euthanasia - Choice or Slippery Slope? - Alex Perrottet, Radio New Zealand (October 2017). Baroness the Professor Ilora Finlay - Radio interview with Mark Sainsbury, Radio New Zealand (June 2017). ‘Dying Well’ - A panel discussion hosted by Hon Paul Foster-Bell (June 2017). Panel: Baroness the Professor Ilora Finlay, Robert Preston, Maryan Street, Professor Andrew Geddis, Dr Andrew Butler. Euthanasia Q+A with Baroness Ilora Finlay and Robert Preston - Mic Series 08, Maxim Institute (June 2017). Baroness the Professor Ilora Finlay - Radio interview with Kim Hill, Radio New Zealand (August 2012). 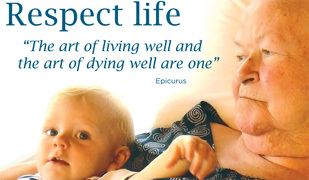 Ethics and Euthanasia: A Debate that Never Dies - A video debate including right-to-die advocate Dr Philip Nitschke and leading Australian ethicist Dr Bernadette Tobin (July 2012). ‘Voluntary Euthanasia: Murder or Mercy?’ - Panel discussion, Museum of City and Sea public forum (May 2012). Panel: Dr Grant Morris (talk), Paul Russell (talk), Janet Marsland (talk), Anna MacLennan (talk), Question Time. Euthanasia and assisted suicide: A discussion we need to have, Panel Discussion and Question Time - Open Forum, Centre for Theology and Public Issues Otago University (April 2012). Panel: Professor Sean Davison, Hon. Maryan Street, MP, Professor Grant Gillett, Dr John Kleinsman, Associate Professor Colin Gavaghan. Euthanasia: An ethical and legal crossroad.